.Register to be a Co-op member and select us as the charity you would like to donate to. It costs you nothing to select us as your charity as the Co-op donate 1% back to us on eligible purchases you make. 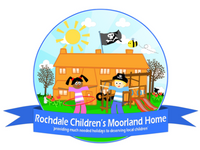 The Rochdale Children’s Moorland Home charity was established back in 1894 with the objective of “the provision and maintenance of a holiday home for children who are in conditions of need or distress”. We still honour that original objective by providing children from deserving families with a holiday in our beautiful setting at Nab Farm.